A little girl who never smiles ’cause I’ve got braces on my teeth. And I know how it feels to cry myself to sleep. A single teenage mother tryin’ to overcome my past. You don’t have to be my friend but is it too much to ask? Don’t laugh at me, don’t call me names. Don’t get your pleasure from my pain. In God’s eyes we’re all the same. Someday we’ll all have perfect wings. I’m the cripple on the corner, you’ve passed me on the street. And I wouldn’t be out here beggin’ if I had enough to eat. And don’t think I don’t notice that our eyes never meet. I lost my wife and little boy when someone crossed that yellow line. The day we laid them in the ground is the day I lost my mind. And right now I’m down to holdin’ this little cardboard sign. I’m fat, I’m thin, I’m short, I’m tall, I’m deaf, I’m blind, hey, aren’t we all. Don’t laugh at me, don’t call me names, don’t get your pleasure from my pain. I’m not convinced we’ll all have “perfect wings.” But I’m absolutely certain that the people described in this song know and feel the pain of insensitive, scoffing, ridiculing and bullying. The Bible says: “Be kind and tender-hearted to one another, forgiving each other just as in Christ God has forgiven you.” (Eph. 4:32) Those described in this song say: “Don’t laugh at me. Just love me.” God bless your day! The Christian life is often not an easy one. Struggles occur in marriages and vocations. Death cannot be avoided. 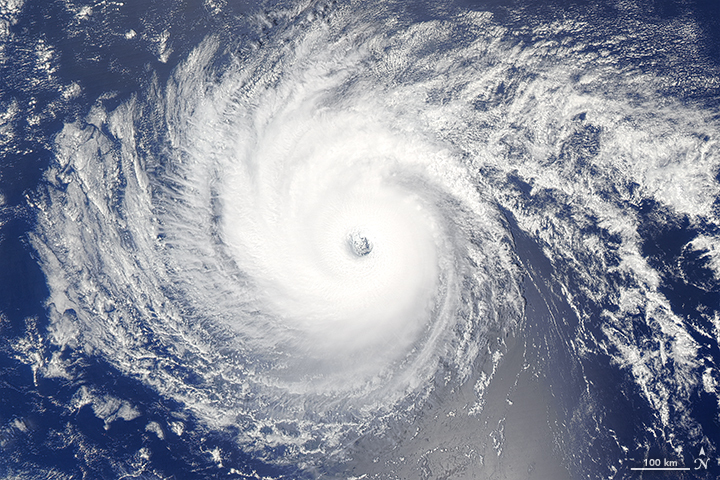 Natural disasters and illnesses arise unexpectedly. With pastoral care, a spiritual perspective, and real-life wisdom, Dr. Gerald (Jerry) Kieschnick has written on matters of life and faith for years. This collection combines some of his best writing on a variety of everyday topics, encouraging you to turn to God’s Word, the ultimate source of wisdom, for guidance in navigating the Christian life. May these brief musings offer you spiritual encouragement and comfort as you experience all that the Christian life encompasses—grief, happiness, tension, contentment, fear, and joy. For more than half a century, I’ve served in numerous Christian leadership capacities, from developing a mission church starting with nothing to president of a national church body of over two million members. Throughout those years, I’ve met and known many people who experience much joy, meaning, and fulfillment in life and love. Yet, many of these wonderful people have encoun­tered challenges and difficulties along the way, often in the arenas of family and faith. Every week, for the past nine years, I’ve written my personal perspectives on these and a variety of other topics. In this little book, I share one hundred of those stories and reflections for your reading enjoyment, emotional encouragement, and spir­itual enrichment. 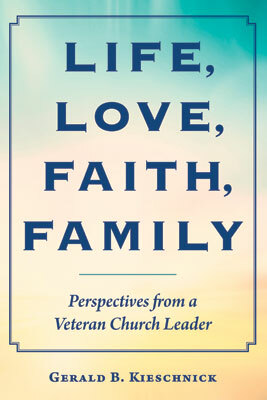 https://www.cph.org/p-32843-life-love-faith-family-perspectives-from-a-veteran-church-leader.aspx Copies will begin shipping on August 15. My first book published by Concordia Publishing House was Waking the Sleeping Giant (CPH, 2010). It’s an honor and privilege to work again with CPH. I pray this new book will be a blessing to those who read it. And if you happen to have your copy with you next time we’re together, I’ll be happy to sign it. Early one morning last week on the way to the office I was traveling at 45 mph on a two-lane road. All of a sudden, out of nowhere, two small birds flew from the grass and trees on my right, directly into my path. One flew at an altitude that allowed it to continue its flight. The other one flew directly into my right front fender and fell to the ground. This was not the first time my vehicle had accidentally and unintentionally become an instrument that terminated the life of a living creature. Over my 59 years of driving experience, I’ve hit other birds and a few squirrels. Transparency requires me to confess that willfully and intentionally I have also sent a few rattlesnakes to their eternal destiny. Scold me, if necessary. The day of my encounter with the bird in question turned out to be the same day of yet another school shooting. This one was in Santa Fe. Not New Mexico. Texas. Frankly I don’t recall ever knowing there was a Santa Fe in Texas. It’s just a few miles south of Houston, my hometown. Sadly, Santa Fe is now known around the world as the site of a willful and intentional eruption of evil activity resulting in the death of eight students and two teachers. Is it possible to compare the life of a human with the life of a sparrow? No way. In God’s eyes, all living creatures have value. But Jesus says the intrinsic value of human life far outweighs that of many sparrows. That’s why many more tears are shed when a human dies, regardless of the cause of death, than when a sparrow dies. Yet God’s love is so magnificent that not one sparrow falls to the ground apart from the will of the Father. It’s challenging to put love in a box with a ribbon. Tangible gifts sometimes accomplish that objective more successfully than do intangible emotions. The gift of love is often enhanced by a palpable expression of that love. Jewelry usually comes in the right color. So do gift cards. Yet gifts in a box are no substitute for what our loved ones need and want the most. Many years ago I heard a simple statement that rings quite true: Children and spouses spell love T-I-M-E! This Sunday is Mother’s Day, a special opportunity to honor our mother, whether she is still living this side of eternity (my mother is 102) or already in heaven (where she’d like to be). Either way, thank God for the positive memories and try really hard to forgive your mother for the unpleasant recollections. “Every year my children ask me the same question: What do I want for Mother’s Day? After thinking about it, I decided I’d give them my real answer: I want you. I want you to keep coming around. Ask me questions, ask my advice, tell me your problems, ask for my opinion, ask for my help. I want you to come over and complain or brag about whatever is on your mind and heart. Tell me about your job, your worries, your dreams. I want you to continue sharing your life with me. Come over and laugh with me, or laugh at me. Hearing you laugh is music to my ears. I spent a large part of my life raising you the best way I knew how. Now, give me time to sit back and admire my work. Raid my refrigerator, help yourself, I really don’t mind. I want you to spend your money making a better life for yourself and your family. I have the things I need. I want to see you happy and healthy. Most mothers are the first to admit they are not perfect. Yet a mother is a special gift from God. So in addition to this Sunday, take many other opportunities throughout the year to honor your mother, to express your love for her, and to thank God for her role in bringing you into this world and into her life. Tomorrow is our dear daughter Angie’s birthday. Next Tuesday is my dear wife Terry’s birthday. That very same date (but not the same year) is my dear Mother Elda’s 102nd birthday. Happy Birthday, sweet ladies! I dearly love each of you! I wonder how many men are blessed to observe within a few calendar days each year the birthdays of their mother, wife, and daughter! Now to today’s topic. Recently a number of my friends have been called home to heaven. Each time a friend or loved one passes I reflect on that person’s life, recalling what I know about his or her joys and sorrows, blessings and difficulties. And I ponder for what he or she might be remembered. Each person is uniquely blessed and leaves a mark, for better or for worse, on the people in his or her world. Here’s a story, author unknown, told by an observer of one whose life made a difference for the good of those he knew. I was at the corner grocery store, buying some early potatoes. I noticed a small boy, delicate of bone and feature, ragged but clean, hungrily appraising a basket of freshly-picked green peas. I paid for my potatoes, but was also drawn to the display of fresh green peas. “Is that right? Let me see it,” said Mr. Miller. “I can see that. Hmm, mmm. Only thing is, this one is blue and I sort of go for red. Do you have a red one like this at home?” the store owner asked. I left the store smiling to myself, impressed with this man. A short time later, I moved to Colorado. But I never forgot the story of this man, the boys, and their bartering for marbles. Several years went by, each more rapid than the previous one. Just recently I had occasion to visit some old friends in that Idaho community. While I was there I learned that Mr. Miller had died. They were having his visitation that evening, and knowing my friends wanted to go, I agreed to accompany them. Upon arrival at the mortuary, we fell into line to meet the relatives of the deceased and to offer whatever words of comfort we could. Ahead of us in line were three young men. One was in an army uniform and the other two wore nice haircuts, dark suits and white shirts, all very professional looking. They approached Mrs. Miller, standing composed and smiling by her husband’s casket. With loving gentleness she lifted the lifeless fingers of her deceased husband. Resting underneath his hand were three exquisitely shined red marbles. The moral of this story: We will be remembered not only by our words, but especially by our deeds of kindness.